Have a look on the new album’s backside! 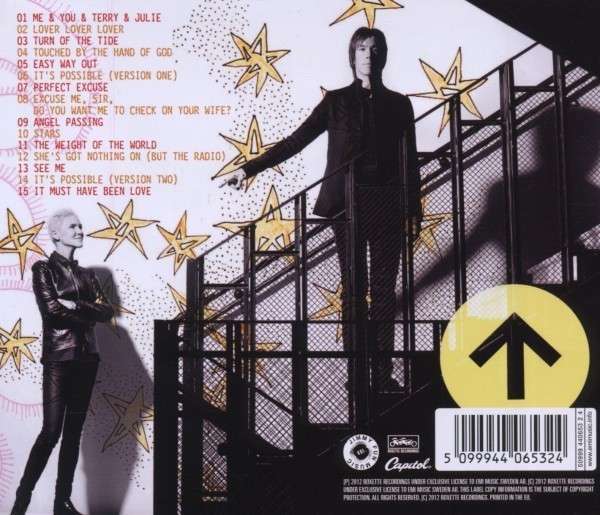 The new stairway photo combined with Gessle drawings and what looks like an airport pictogram. Don’t overlook the Crash! Boom! Bang! style reference on the track names! Thanks to RoxetteCafe.com for sharing this picture. “It’s Possible” is record of the week at BBC Radio 2! The Electronic Press Kit for TRAVELLING. Enjoy!